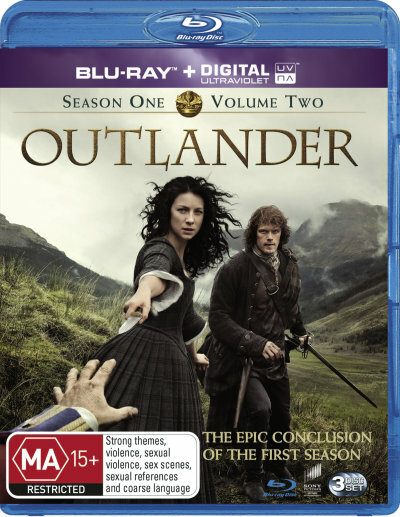 Outlander season 1 Blu Ray part 2 stars Caitriona Balfe, Sam Heughan and Duncan Lacroix. The Outlander Blu Ray is adapted from Diana Gabaldon's international best selling books and spans the genres of romance, science fiction, history and adventure into one epic tale in one of the most beautiful backdrops of stunning scenery you'll ever see. Click the button below to add the OUTLANDER - SEASON 1 PART 2 (BLU RAY) to your wish list.